A silver southwest delight! 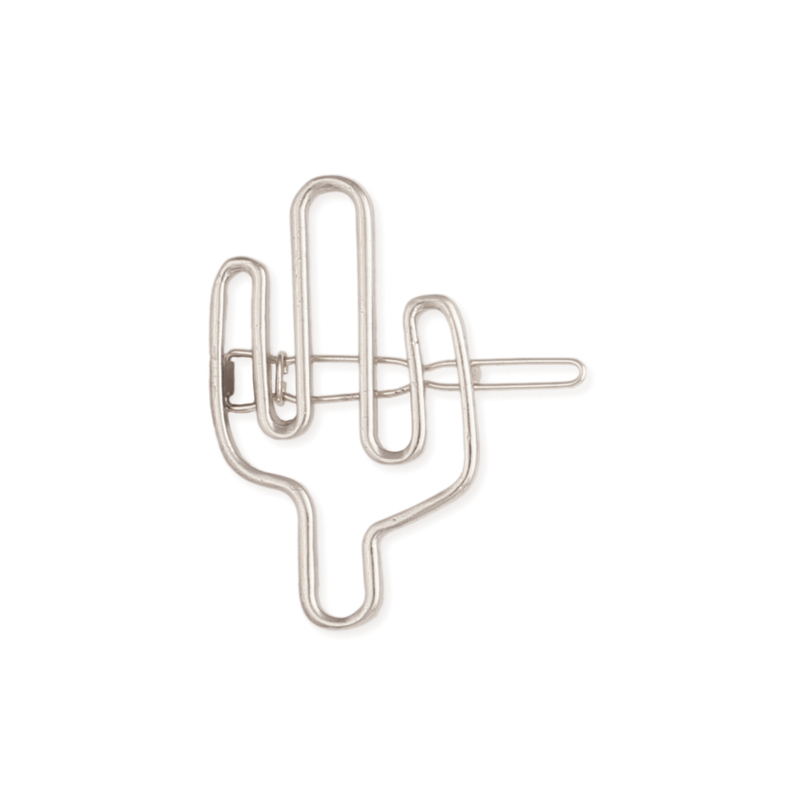 Add this silver cutout cactus barrette to your jewelry box for western flavor. This barrette's simple shape and modern minimalist design will lend a touch of cowgirl to your wardrobe! Measurements (approx.) 1" x 1 1/2"